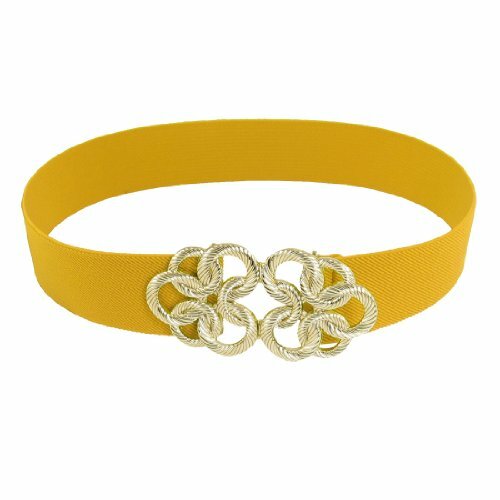 Features: gold tone metal twisted circle flower design interlocking buckle, textured elastic band, cinch belt. Matching with your dress, tunic blousre and other clothing(not included here) to show off your charming body. 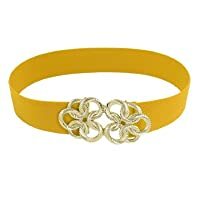 Add a touch of color for your wasit with this Cinch Belt.